As a cornerstone of success and advancement of any craft, education is the fundamental indicator of potential growth and achievement. Hairstylists recognize the value of education to perfect their skills in hairdressing to achieve their professional goals, retention, and acquisition of clientele. Education in niche hair industry business and career development is finally being recognized as not only important but essential. The owners and stylist that are not advancing their ability to succeed from a business perspective are not realizing the potential for growth that others are achieving. It is never too late to start so congratulations on being intrigued to make the first step to joining the business industry elite. There is no better indicator on the health of your hair industry business then the retail numbers you are posting every day. If this surprises you then you’re in for a real treat as you have a massive amount of unrealized potential for your business. Success in authentic and consultative retail sales is not only going to put more money in your pocket but most importantly this will ensure your maximum potential to retain the most valuable components of your business … stylists and clientele. We are really excited to share with you some small things that are going to take your career and your business to an exciting new level. Hairstylists must be highly skilled in verbal communication to become successful and it when it comes to business communications there are some really exciting ways to get creative. Marketing is merely communicating the amazingness you are with your clientele, prospective stylists, and fellow craftspeople. Fun, authentic, and crafty ways of delivering your message is the start then lets work together to discover when, how, and who to target. Your potential “Market City” has many avenues, multiple strategic lookouts and its network of communication infrastructure is extensive … we are excited for you to join in on the city tour !! 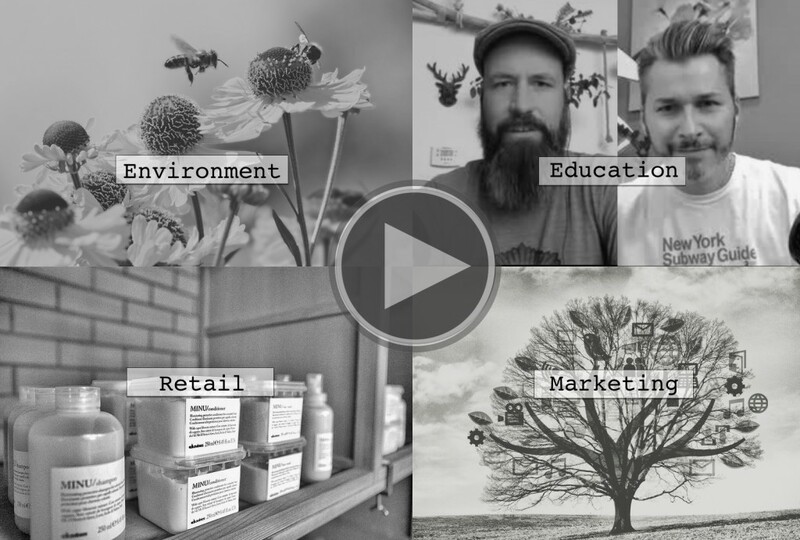 Loving, kind, considerate, cooperative, balanced, and connected are just a few adjectives to describe a Davines stylist and salon owner when it comes to their commitment to the eco-social organism. The earth is not weak and does not need our protection. It sustains, heals, and supports us and all that it requires to support our success is some mutual consideration, respect and love. Lets make sure we are doing everything we can to coexist in mutual harmony with the biosphere and lets celebrate with all the prospective clients, industry partners, and fellow love activists that feel the same way.